As big-box retailers expand into every town across America with their low-low prices and comfortably predictable store environments, and a record number of retailers make shopping simple for consumers in even the most remote locales, independent children’s wear boutiques must find innovative ways to stand out. Rather than embrace BOGO blow-outs and marketing blitzes, savvy shop owners are simply focusing on old fashioned customer service. Establishing their businesses as not only places to make money, but as extensions of their own homes, they’ve discovered that no amount of free shipping can beat a sincere smile. According to Mickie Albert-Caracatsanis, of Satisfaction Services, a consulting company that coordinates mystery shoppers and detailed store analysis, customer service is the defining factor in a retailer’s ability to survive. "Businesses are starting to realize and accept that customer service is one of the only competitive edges that you can really affect over the competition," she stated. "All the good locations are already taken and price points are just too close across the board. Plus, you can get anything online these days and most times it is even cheaper." So, with smaller staffs and more personalized shopping environments, boutique owners should be poised to use impeccable customer service to their advantage. Ironically however, it is these very stores that are often deemed by consumers to have the poorest service. In fact, shoppers have told Earnshaw’s that they avoid boutiques due to things like strict return policies or snooty treatment. Mickie Albert -Caracatsanis said that standards are so low when it comes to service, that most consumers are actually shocked when they are treated with respect and kindness. "It is rare for consumers to feel genuinely cared about. Today, all we want as consumers is to be acknowledged and to not be abused," she said. "Truthfully, we’re not asking for a whole lot." While Mickie Albert-Caracatsanis contends that too many store clerks embody the stereotypical gum-smacking, lipstick-applying, nearly-invisible lump behind the counter, there are retailers who have caught on to the boons of good service—they cover the basics of saying hello, being available to answer questions, and generally being friendly, and then they take it a step further. For Monica Tran, owner of Trust Fund Baby in New York’s trendy Nolita district, great service begins with the very term that she uses to describe her shoppers. "We don’t call the people who walk into our store customers. We treat them as clients, because we are here to serve them. They are paying for something, and they better feel good while they’re doing it," she said. With lacquered green, blue and red walls and shelves filled with curios that she has collected while traveling, Tran’s shop—which houses her own vintage-inspired children’s designs along with men’s, women’s and accessory collections—is inspired by her grandmother’s childhood home in Vietnam. "I don’t like to call it a store, I like to call it a retail environment. It’s almost like walking into my house," she added. Julie Burgmeier, who owns La Connor, Wash.-based Childhood Bliss along with her partner Carol Whited, agreed that the foundation for a positive shopping experience is making every customer feel right at home. "When customers walk into our front door, I think about them coming into my home and I treat them like a guest," she said. "The best feeling is after they’re done shopping, and you’ve gotten to know them—it’s like you’ve made a new friend." Appropriately, the vintage-meets-urban Childhood Bliss, which carries brands like Petunia Pickle Bottom, Small Paul and Meli Meli for boys and girls, is located in a quaint old home with big bay windows. Boutique owners, who tend to view their stores as extensions of their homes, also emphasize the importance of treating customers like friends by remembering their names or relevant details about their last trip to the store. "The most important thing that I remind myself and my staff to do is to ask shoppers questions that will help to remember something about them. Ask their name, and as they are shopping use it repetitively," suggested Jamara Ghalayini, owner of Pumpkinheads in the Brentwood neighborhood of Los Angeles. "When people come in again we always try to call them by their first name and it is absolutely shocking to them." Apparently it has worked: 73 percent of Pumpkinheads’s customers are return clients who come in more than once a month. At Bella Bambini in Caldwell, N.J., a store that carries a refined collection of communion and special-occasion gowns, as well as a slew of trendy brands like the English Roses and Lipstik, owner Diana Salerno keeps a book of all of her customers and will call them or send them postcards when new merchandise arrives. 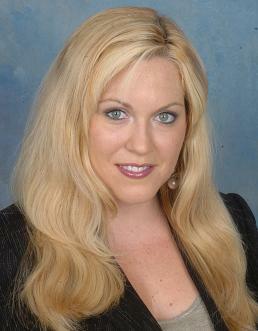 As Salerno gets to know them, she provides them with even more personalized service. "For example, I have one customer who will call ahead. So, I’ll pull out all of my [clothes] that I think she’ll like and give her my undivided attention so she doesn’t have to go through the racks," Salerno said. She’s also been known to run outfits to parents’ cars on the street while their children were sleeping in the backseat and to ship clothes across the state to mothers in need of emergency vacation wear. 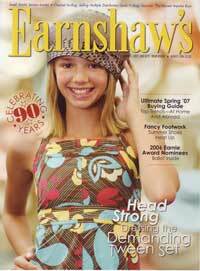 Article published in Earnshaw’s - Earnshaw’s has proudly served as the voice of the children’s fashion and juvenile product industry for nearly a century. Thousands of retailers and brand executives rely on the magazine, both in print and online, to hone their retail strategies and merchandising techniques, keep their assortments fresh and stay on top of the latest trends, technology and industry news.